The Bondguard aluminium rolling grille in brick bond design, for use in both internal or external applications, ideal for shop fronts and bars, serveries, reception and display areas, shopping malls. This grille gives both excellent vision and good security combined, can be reverse rolled, key locked from either side, mill finish aluminium is standard, but can be powder coat paint finished to any standard BS or RAL colour. The grille curtain is available in two standard mesh sizes, 100mm x 50mm and 230mm x 75mm, guides and bottom rail are also aluminium. Manual push up operation, with spring and key operated bottom rail lock, with multiple applications all keyed alike. Electric operation by single phase tubular motor, with hard wired hold to run switch, or key switch. The Plasguard rolling grille, is designed to give a good balance of security and vision with an excellent aesthetic value, for internal applications only. Suitable for clubs, hotel and guest house bars, serverys, reception areas, leisure centres and shopping malls. The grille curtain links are plastic and are available in a range of colours, Brown, White, Black, Grey and Red. The guides and bottom rails are available in Anodised Silver or Gold Brass Anodised aluminium, on multiple grille applications, centre posts, 45 and 90 degree aluminium corner posts can be removable, other angles are usually made from wood. 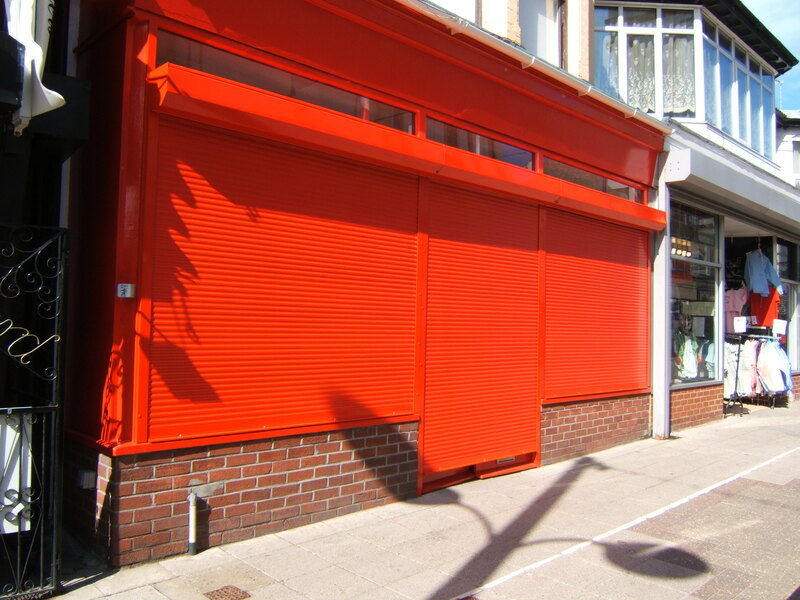 Shop front shutters are subject to planning application, and are available in steel or aluminium, all suitable for polyester powder coat paint finish in any standard BS or RAL colour or a plastisol finish in steel. 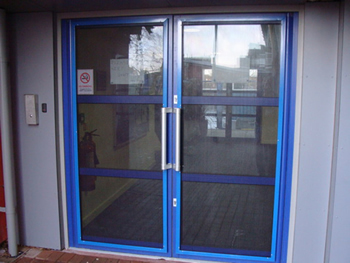 Other options include perforated shutter lath in both aluminium and steel versions, for a good degree of vision, or a combination of solid shutter and bond grille, or punched and glazed sections in aluminium. Electric operation by single phase tubular motor, with key switch, or internal push button. All shutters are built to last, but periodic maintenance will ensure a longer life. 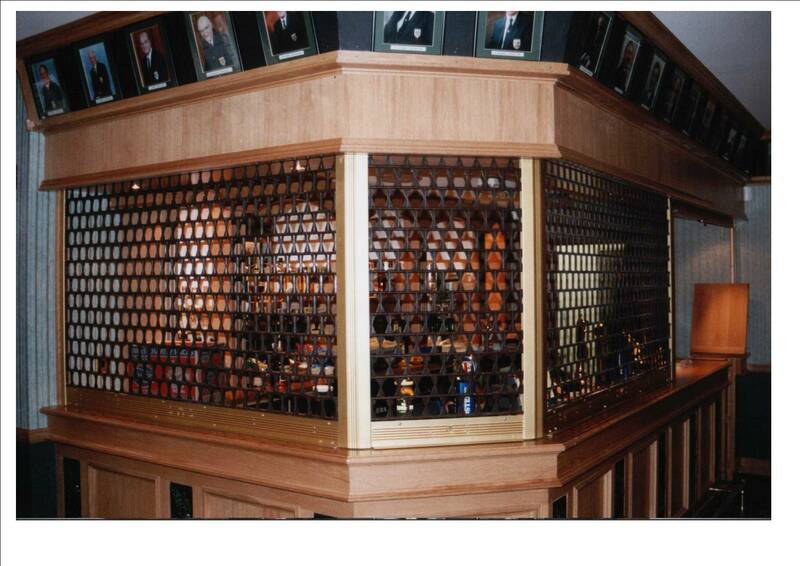 Our range of retractable expanding security grilles, come in three variations, unbeatable for quality and value. The CX1 entry model, the CX2 and CX3 both with LPCB approved level 1 certification. Providing an easy to use, effective and strong physical deterrent, these folding sliding grilles are suitable for windows and doors in both commercial and domestic applications,an ideal solution for patio doors, bedroom windows, retail outlets and offices. 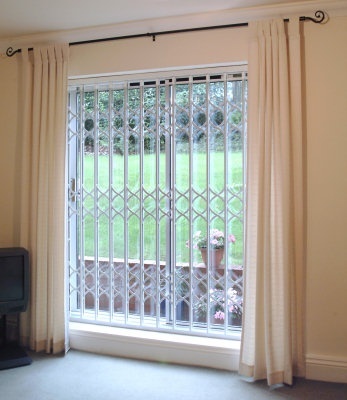 Folding grilles can be fitted internally or externally, and have a range of tracks, including - lift out, lift up or fixed, also with an option to hinge aside. CX grilles are available in white as standard, but can also be paint finished to any standard BS or European RAL colour. Locking is by key operated cylinder lock, either half or full cylinder, with multiple applications all grilles can be keyed alike. 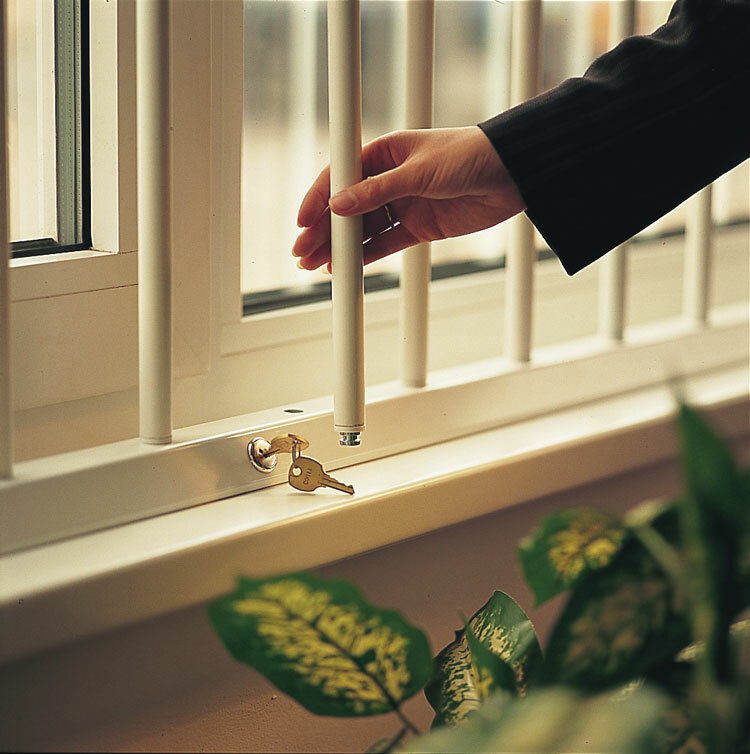 Prison bar type grilles do not need to be permanenyly fixed, the SeceuroBar system which features anti-cut steel bars, are securely key locked into position to protect vulnerable windows, but can be removed when not needed, and put back in seconds. Suitable for fixing internally only, in either a vertical or horizontal format, Seceurobar is quick and easy to install, and very effective in a range of applications. Paint finished in white as standard, but can also be powder coat paint finished to a range of standard BS or RAL colours. A more robust, traditional solid steel fixed bar system is also available, for windows and doors, suitable for both internal and external installation, where removal is not a requirement. Fixed externally, Anti vandal barriers are a discreet, cost effective security barrier, for protection of glazed areas on windows and doors. Constructed from 2mm thick perforated steel mesh screen, and fixed into a 50mm extruded aluminium frame, usually installed with non return - anti vandal screws. When installed, the barriers give the appearance of tinted glass and also acts in a similar way, making it difficult to see inside the property during day light hours. The perforated steel mesh allows 60% of vision from the inside, and is polyester powder coat paint finished in black as standard, the extruded frames are available in either white or black. 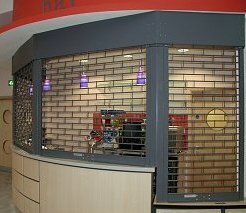 These perforated mesh barriers can be face fixed directly onto a window or door frame, or alternatively side fixed within a window reveal.